I have not written a public article in several months. This is mainly because I have been waiting for a buying opportunity to develop in precious metals. As a fairly aggressive investor with a high risk tolerance, I took a stab when silver originally dropped to technical support around $27. I have a few small cuts from attempting to catch the proverbial falling knife, but I was quick to release and walked away relatively unscathed. The waterfall decline from $27 to $18.50 has resulted in many silver investors throwing in the towel and exiting their positions. However, this is herd mentality and every successful investor knows it is almost always a failing strategy. With sentiment near all-time lows and blood still running in the streets, I am doing the exact opposite and wading into the waters once again. I remain convinced that the long term prospects for precious metals are favorable and the bull market has several more years to run. At this juncture, I also believe we are witnessing an incredible short-term buying opportunity that will probably be the last of its kind. It takes a tremendous amount of courage to go against the herd, but this is where the real money is made. When silver spiked to $15 in 2006, I was ecstatic with a near tripling in price from my original entry point. New investors looking to enter the sector would always lament that they missed the boat and wished they would have bought earlier. For them, it was too late and so they didn’t buy silver at $15. In early 2008, silver spiked to $20 and many of the same people hesitated because they believed it was once again too late to buy. With the collapse of Lehman Brothers and ensuing financial crisis, the silver price fell to around $8 and I encouraged these same investors to buy the dip. But they were frozen with fear and kept their cash in CDs and savings accounts paying interest of around 3%. When the price once again broke out above $20, they were kicking themselves for not buying the dip and decided they had once again missed the boat. Silver then rocketed to around $49 in roughly 18 months, generating an incredible gain of 150% in physical metals and gains of 500% or more in many of the mining stocks that we track. We’ve all heard this sad story. It is the experience of most investors that are unable to pull the trigger when prices are low and everyone else is selling. They always wish they had bought earlier and end up chasing prices higher, buying at or near an intermediate top. This majority is a gift to the contrarian minority that is happy to relieve them of assets at deeply discounted prices. So to the investors that have emailed me in the past wishing they had bought earlier, here is my observation of the current state of the silver market… NOW is ‘earlier.’ In 6, 12 or 18 months, I believe you will be looking back at $20 silver and wishing you would have bought earlier. When the fuse is lit under the silver price, the upward momentum can be just as powerful as it was to the downside. I believe both the fundamentals and technicals are suggesting that silver is at or near a bottom for the current corrective wave. While the June 27 low of $18.50 is most likely the bottom, I am not so naive as to state that the price cannot move lower. Investors are an emotional bunch, easily swayed by comments from politicians and bearded men. And I fully realize that if Western governments and their banking masters want lower gold and silver prices, they have the paper mechanisms to do as they please in the short term. In the long term, supply/demand fundamentals always tend to re-assert themselves. It has been nearly as steep as the 2008 decline when the entire global financial economy was at risk of collapse. 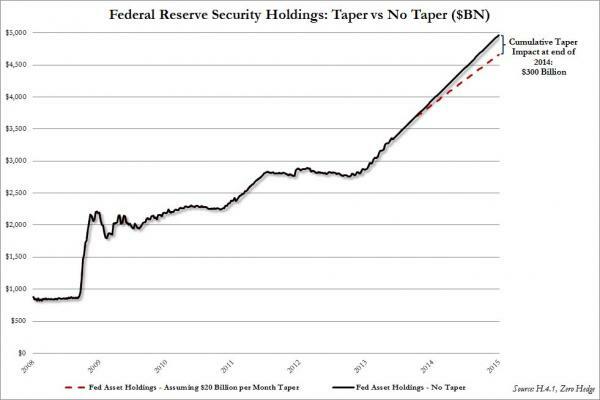 Yet, we are not in the midst of any type of a (public) financial panic. To the contrary, stocks have been climbing higher and the banking sector is reporting a surge in profits that are handily beating expectations. There really isn’t much to justify the magnitude of the decline that we have seen in silver. As investors tend to overshoot in both directions, this sell off appears to be a knee-jerk emotional reaction without much substance driving the decline. After dropping much faster than silver, we are seeing signs in the past week of quality mining stocks outpacing their underlying metals. While silver is up 4.5% in the past week, many of the silver miners are up 8% or more. Of course, they tend to offer this leverage in both directions, but I like to see a quick swing back to leverage on the upside near a turnaround such as the one we have witnessed in the past week. While supply has been rising marginally, demand has been picking up significantly both from the investment and industrial sides. Investment demand in bullion is at all-time highs in 2013 and has resulted in shortages and high premiums on popular mint coins. 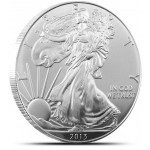 Year to date sales for the popular silver eagle coin reached 25,043,500 as of July 1st. This amount is up by 44.0% from the mid year total for last year. More significantly, the year to date sales are up by 12.3% compared to the mid year sales total for 2011, when annual sales had achieved the current record high of 39,868,500. This should only accelerate in the coming months as bargain hunters load up on sub-$20 silver. Industrial demand also appears to be picking up after dropping last year. This is being driven by a recovering global economy and resurgence of demand from the solar industry. And unlike gold, silver gets depleted in industrial applications and ends up scattered in quantities too small to justify salvaging. So while all of the gold that has ever been mined still exists for re-sale, silver stockpiles decline each year and must be replenished with new mining. I take technical analysis with a grain of salt, especially considering the degree of manipulation in this sector. However, this level around $18-$19 was strong resistance on four separate occasions from 2008 to 2010. Resistance often turns into support. The stronger the initial resistance, the stronger the future support. Furthermore, if you look at the long-term trend channel outlined in blue, you can see that silver has remained within this channel for 90% or more of this entire bull market. The only times when it made a significant move outside of the channel was during the financial crisis of 2008 and during the exponential move towards $50, which proved to be a very short-lived spike. Silver is now at levels as severely oversold as it was during the depths of the 2008 crisis, which makes little sense given the current absence of any full-blown crisis. Either the precious metals bull market is really over or silver is due for a bounce back above $30 and into the long-term trend channel charted above. You will have to make that call for yourself, but I personally assign the probability of this bull market being over somewhere between zero and pigs flying. Both from a fundamental and technical perspective, silver looks to be oversold at current levels. The metal was due for a correction after the overblown move towards $50 in 2011. But just as it overshot to the upside, I believe it has now overshot to the downside. This is even more apparent with mining stocks, which are more undervalued relative to the metals than at any point during the current bull market. These companies may see more downside as Q2 earnings disappoint, but I believe much of this risk is already baked into current valuations. I never advocate going ‘all in’ at one juncture, but I believe this is an excellent opportunity to start scaling into new positions or adding to current positions. I like to do this in tranches, buying a set amount of both physical silver and best-in-breed mining or streaming stocks every few months. This ensures that you don’t deplete all of your cash just prior to another move lower, while also allowing you to get ‘skin in the game’ at levels that appear to be near the bottom of this prolonged correction. This is certainly not the most popular time to be buying silver coins and silver mining stocks, but I believe it will soon prove to be the most profitable time to have added exposure.